I had to update my own resume a few months back, mostly as a formality for a large contract resume writing job I was presented with. It seemed like a joke to me, because as someone who does this full time on a professional level, you would think this would be a cinch. Not so much, and the funny thing is that I often hear the same response from folks in advertising and marketing, professionals who are essentially groomed from day one to create, write about, and design compelling brands that stand out. Here’s the thing: it’s extremely difficult, if not impossible, to write objectively about yourself. We’re conditioned to hold biases and opinions around ourselves, to judge, to formulate expectations – that’s just human nature. And putting those aside to factually dictate the contributions you made throughout your professional career – that’s difficult. You might want to say one thing, but the truth is really another. Or worse – you’re compelled to downplay your accomplishments out of a sense of modesty, and not wanting to brag. But that’s what a resume is – your brag sheet, your sales pitch, your one shot to dazzle and impress your reader with your confidence, passion, and talent, because you have those things. Now I’m a professional resume writer – of course I’m going to tell you to have someone else critique and write your documents for you. But it also can’t hurt to take a stab at doing it yourself on the initial round. Why? 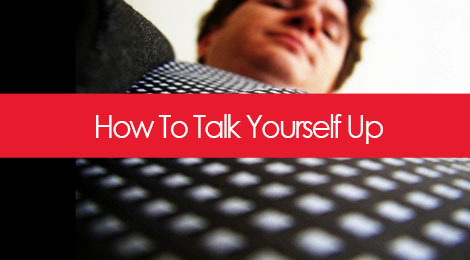 Because it’s excellent practice for the interview, and for getting comfortable around talking about yourself in general. What overall impression do you want your reader to be left with after they read about you? Think about the things that are more difficult to write about on a resume, like worth ethic, persistence, the fact that you get along with everyone, or that you’re open to learning. Asking this question can open up additional selling points and themes you hadn’t thought of before. It also sets the overriding message for your resume, and can help you craft the rest of your content. You might be hard working and dedicated, but what kind of specific knowledge, tools, and skills do you use on a daily basis to contribute value? Maybe you’re an excellent relationship builder who’s able to bring people together, or be the voice of reason between internal teams and over-demanding clients. Specific works better here than high-level ideas. This is not a trick interview question – it’s meant to provide insight. So instead of doling out a safety answer like perfectionism, or a lack of proficiency in a skill that’s irrelevant to the job, talk about where you want to gain more experience. Management? Certain technologies? As long as it points to an interest in learning and growth and not a deficiency in skills required for the job, it’s a solid answer. It’s easy to be blinded by good salary, lofty benefits, or an interesting workplace; But it’s critical to know what components of your jobs past and present you truly enjoy and that, conversely, you’re not willing to tolerate. This will help guide you in determining what kinds of companies or roles are a good fit by helping you understand in what type(s) of situation(s) you do your best work. While these prompts can help you set a foundation around what you want to communicate in your resume, your cover letter, and even your LinkedIn or other profiles, they’re also key points for having the conversation around your career history and where you see yourself going next. Notice how these are framed in a factual way rather than a boasting one. It’s not about tooting your horn – it’s about knowing who you are and what you bring to the table, where you do your best work, and how you want to position yourself out there in the professional world. My suggestion? Practice with a friend, perfect it on your own, and then rock it in the interview! Tags: career, communication, cover letters, interviewing, LinkedIn, marketing, personal branding, resumes, shameless self promotion. Bookmark the permalink.